Flying Alarm Clock: Trouble waking up? 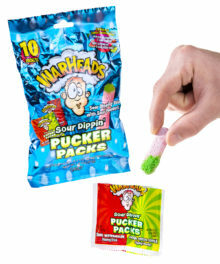 This will do the trick! 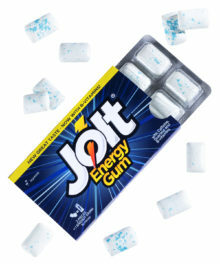 Trouble waking up? This flying clock will do the trick! When the alarm on the Flying Alarm Clock sounds (and trust us, you'll hear it! 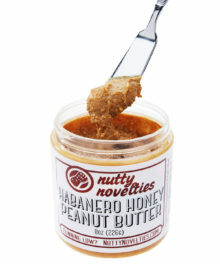 ), the propeller launches into the air and bounces around the room. The sound cannot be stopped until you retrieve the propeller and return it to the base station. So, if it's difficult for you (or someone you know) to wake up in the morning, this flying alarm clock for you. Simple to set and effective in waking you up, the Flying Alarm Clock may be the most annoying alarm clock you'll ever own. The concept is simple: create an alarm with an annoying sound (think German occupation in WWII) and add a propeller to the top. When the alarm sounds, the propeller flies off and bounces around the room. The annoying alarm sound doesn't stop until you return the propeller to the clock's base station. And voila! The Flying Alarm Clock was created. 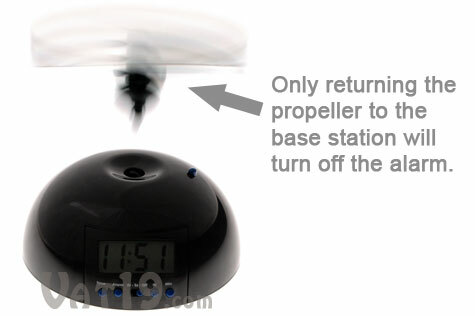 You cannot turn off the Flying Alarm Clock until you return the propeller to the base station. 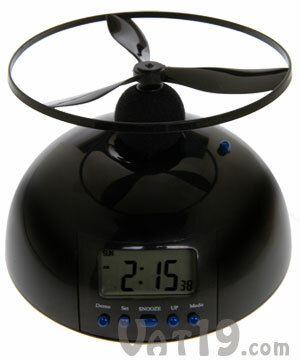 Simply push down on the top of the propeller to activate the flying alarm clock's backlit display. 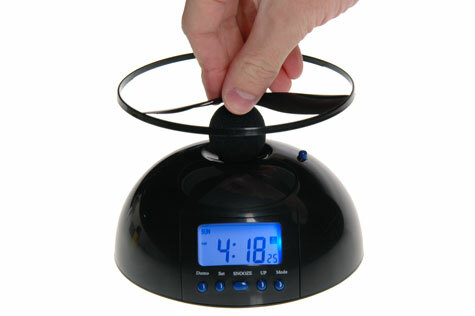 The Flying Alarm Clock features a blue backlight that illuminates the digital display. With only five buttons, you'll find the Flying Alarm Clock a breeze (get it, breeze) to use. 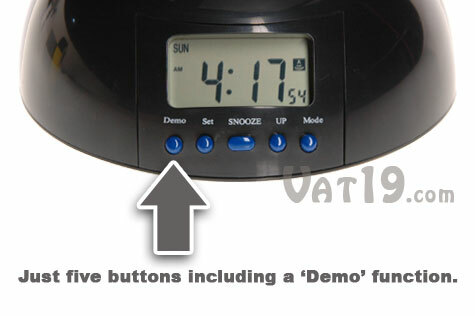 In fact, one of the buttons is a 'Demo' button so you can show your friends the coolness of the Flying Alarm Clock. So, really, there are only four buttons used to operate the alarm. It's really quite simple to use. With only five buttons (one being just a demo button), the Flying Alarm Clock is easy to use. Question: Do I really have to put the propeller back into the stand? Answer: Yes! 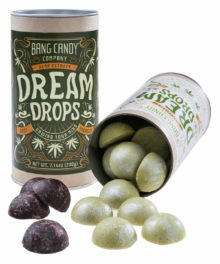 Pressing the top with your finger will not silence the Flying Alarm Clock. Fooling with any of the controls does not turn it off. The only other way to turn it off is to remove the batteries. So, if you think it's easier to unscrew the battery compartment than to get up and find the propeller, go for it. However, we think you'll be awake at that point, anyway. Question: Will the propeller damage my bedroom? Answer: No, the Flying Alarm Clock's propeller is plastic, flexible, and lightweight. Question: How high / far will the propeller go? Answer: The Flying Clock's propeller launches approximately 8 feet into the air. It has a very unpredictable flight path. Question: How many Flying Alarm Clocks does it take to wake up a gorilla? Answer: Watch our Flying Alarm Clock video to find out.